The Enforcement Directorate's raids come a day after Karti, the son of former finance minister and senior Congress leader P Chidambaram, was interrogated by the agency for over 10 hours. The Enforcement Directorate on Friday conducted raids in Chennai in connection with the INX Media money laundering case. Three properties of people allegedly linked to Karti Chidambaram were raided, reported news agency PTI. The raids come a day after Karti, the son of former finance minister and senior Congress leader P Chidambaram, was interrogated by the agency for over 10 hours. The ED had registered a case of money laundering against Karti under the Prevention of Money Laundering Act (PMLA) in May last year. It has earlier raided properties of his as well. Apart from Karti, Peter and Indrani Mukerjea are also accused in the case. 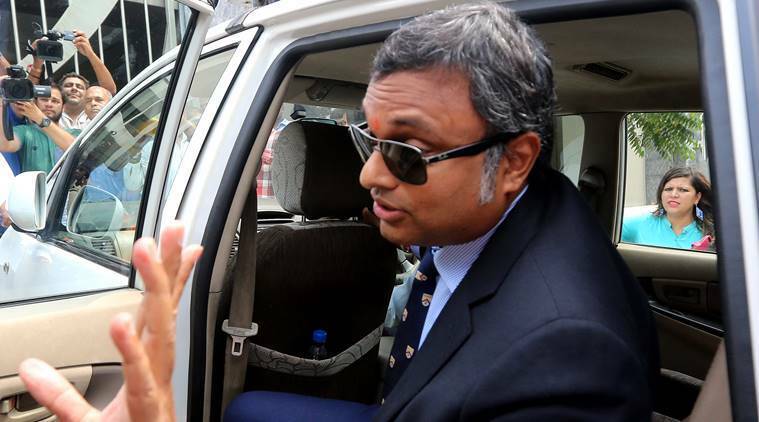 The ED alleges Karti received money from INX Media, a firm owned by the Mukerjeas, in return for using his influence to manipulate a tax probe against it in a case of violation of Foreign Investment Promotion Board (FIPB) conditions to receive investment from Mauritius. The ED’s probe is based on an FIR filed by the CBI, which has also raided multiple properties of the Chidambarams. Both Karti and P Chidambaram have denied allegations levelled against them. “(ED officials) searched and found nothing but since they had to justify themselves they took papers of a statement made by the government in Parliament, few years back. The ED has no jurisdiction to investigate under PMLA,” Chidambaram added.